It’s about time to give you some updates about what we are up to and reveal more news about the upcoming album. We are still in a writing and pre-production mode, working with producer Waldemar Sorychta. 10 of the tracks for our 6th album are more or less completed, while several more are under way. I always find it hard to describe our current musical direction with new material in general, and, specifically, before an album is completed. We will record 15-16 tracks for this session, and we still don’t know which ones will make it in the album. The selection process is always done in the studio and we always try to pick songs that will make the album complete, rather than the single tracks that we favour at the time. Personal favourites have a tendency to change all the time and usually we prefer the songs that have been completed recently, which is to say we tend to look at the album as a whole. The perfect Tristania album should have some sort of running theme throughout the album, although the dynamics between the different songs are just as important. Good examples are songs like Sacrilege and Fate from Illumination. Both were intended to be bonus tracks, as they differ from the rest of the album in their own way. In the studio, I regarded songs like Down and Mercyside to be prominent and, in many ways, defining the album. However, during mixing we found out that these two tracks would fit perfectly into the album and give it the diversity and dynamics we are known for. Today, I see that songs like Lotus, Fate and Sacrilege are just as important for Illumination’s identity as Down and Mercyside. I was thinking today which songs should definitely make it in our new album, but I know from experience that whatever I say now will definitely change when the songs are recorded and completed. Another issue that we always have to deal with is that the songs we are most happy with during pre-production, tend to be a disappointment when finalized. It may be the singers who just do something a little bit differently during the album-recording that gives the song a slightly different expression, or a song can take a different direction sound-wise compared to the pre-production stage. A synth sound might be changed or the cymbals played differently. Small details like these can make any of our favourite songs lose their magic for us, even though everyone loves that song. The perfect example that comes to show my personal disappointment is Hatred Grows from World of Glass. This was one of the songs I had highest hopes for, prior to the recordings. The intention was an ultra-heavy and atmospheric doom tune but, in my eyes, it took another direction and ended up becoming quite anonymous. It made it to the album because everyone else liked it, but for me Hatred Grows has always been a song that should have been deconstructed and re-recorded in order to find the atmosphere and heaviness that the song should have had. I have to admit, it’s the only Tristania song having my name in the credits that I’m not proud of given how it ended up sounding, considering my intentions and hopes for the song. Luckily, it’s the other way around with the “outsiders”. Songs that we are not entirely happy with or grew bored of during pre-production, often turn out to be positive surprises in the studio and end up as key songs for the album. Personally, I think songs like Lost (World of Glass), The Wretched (Ashes) and Sacrilege (Illumination) are the most valid examples. When we recorded World of Glass during spring 2001, Lost was one of the songs that were far from completion when we entered Sound Suite studio in Marseille. We’d worked out the main parts and arranged the song over the night and when this was done, we really liked the energy and drive that Lost represented but we didn’t know how to approach it regarding the vocals. Pete Johansen, who played violins on the album, stepped in to save us with his brilliant ideas for both vocals and lyrics. I remember it very well; Pete, Einar and I were sitting in the flat where we were staying for the recordings, having this conversation about the songs, the progress, etc. when we told him about this song. A song we liked a lot but for which we haven’t got any vocals or lyrics yet. Pete liked the song and said he will give it a try with the lyrics. We played it 3-4 times, and after 15 minutes he had the complete lyrics in hand and the rhythmics for the growls. We were really happy about what he came up with and I immediately realized it will work out really well. The next day, he recorded a lead track for Ronny Thorsen in the studio and the final result was amazing. Lost is still one of my personal favourites from this album and we want to make a live version of it some time in the future. The Wretched was a good song when it was recorded in 2004 but both I and Einar felt that there was more potential to the song than we had managed to get out of it. We discussed it the day before it was going to be mixed and agreed that all parts were great, except the two verses with growls, which we felt were a bit too static and boring. We had been working all day with final details and mixing of other songs but decided to keep on working through the night, hoping that we could improve these parts. It has become one of our most memorable nights during studio sessions. We removed everything except drums and started to make new verses with guitars and bass from scratch. At this point we were really done with all recordings and all amps, etc. were removed. We had to rig it up again. However, the amps were used since I last recorded the other guitars, so we were facing a big problem with the sound being different in the rest of the song. We had to make a new guitar sound and now, if you listen carefully to the song, you will hear that the guitar changes radically its sound from when the first verse starts with the slide. We basically just began making one bar at the time. I improvised and when we had something we liked, we recorded it. We ended up with a very original and progressive verse which is really heavy. Everything was recorded by around 6 a.m. and we were both exhausted but extremely happy and pleased with the new version of The Wretched, which still remains one of my absolute favourite Tristania songs. Although I really liked Sacrilege after Illumination pre-prod, I believed it would end up as a bonus track because I felt it was a bit on the side of the rest of the material and a bit too repetitive and one-dimensional. However, this was one of the songs that blew me away in the studio after it was completed; Waldemar’s production really fits this song I think, and it was a revelation to replace the programmed drums from the pre-production with Kenneth’s drumming in the studio. Østen did a magnificent job on this one, in my opinion. We were quite in doubt how it would turn out, as the high notes in this song are way higher than Østen’s natural range. This was of course intended by Einar when he made the vocal melodies for Sacrilege. We wanted it to sound hysteric and desperate, fitting with the lyrics which deal with religious fanaticism. I remember thinking before the vocal recording of this song in Woodhouse that I was afraid it would end up sounding like a parodic Ozzy-interpretation but Østen did it really well and it lifted the song up tremendously. When we came home from studio and played the final mix to some friends, this was the first song that people pointed out and remembered after the first listening through the album. I know it probably sounds twisted to discuss songs as if they had their own life and will, but for me this is usually how it feels. A song that I start working on is living its own life and often ends up totally different from the initial ideas. And usually it’s for the better. Most of the time, we all agree if we are not happy with a song during studio sessions, if it doesn’t live up to its full potential, if it doesn’t live up to our expectations – we wreck it; songs like this have never been used as bonus tracks. I remember we did a complete recording of The Ravens in Top Room studio during the Ashes-sessions. If I remember correctly, the original title for that track was simply Ashes. Somehow the song didn’t work out the way we intended it and we threw it away. Years later, we picked it up again and made a new version on Illumination which worked out very well. This is a common phenomenon in this band; we can work on songs or fragments for years. If we are stuck with something, we leave it and simply forget about the whole thing. Then it’s easier to find out what the song or theme needs when we pick it up years later. Originally, I wrote most of the parts of Shadowman for World of Glass. It didn’t work out but later we picked up the pieces with Ashes, and it became one of my favourite Tristania songs. Again, the main Mercyside-parts were written for Ashes but were included in Illumination. A lot of our songs have been developed over many years this way. We still have good parts written over the last 10 years which have never been used. From time to time, we pick up parts like this and try to fit them into a context. As most of you already know, the upcoming album is going to be recorded in Woodhouse Studios in Hagen, Germany and we continue our collaboration with producer Waldemar Sorychta. 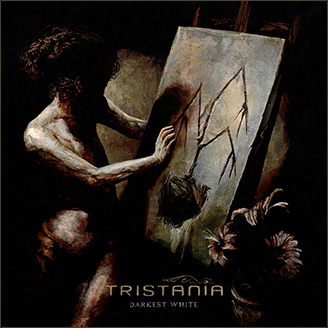 Although there are things I’m not totally happy with on the Illumination-production, it is still Tristania’s only album I really like sound-wise. We still don’t have the final dates, but hopefully we can record our 6th album around June. If it is up to us we could start in April but, naturally, there are other factors we have to take into consideration. Like the time Waldemar needs to find for this, given his extremely busy schedule, available slots in the studio for recordings, etc. Anyhow, the main reason why we have to wait is that the label situation needs to be clarified. As I write these words, Waldemar and his assistant and engineer Dennis Koehne are mixing three of the new songs; The Emerald Piper, Protection and Patriot Games. These will be used as a demo for SPV as they have an option to release the next album. If they don’t like them, we will approach other labels that might be interested in signing with Tristania. As soon as we have a clear view on this, we can book the studio for five weeks, and record this baby. It’s a very strange feeling to be on top of things and to have written so much about the album before the studio is even booked. Usually, the last couple of months before studio-recording are a real nightmare when we work around the clock, seven days a week in order to be ready for studio. This is always extremely stressful but the good thing about it is we always work well under pressure. When we started recording Ashes only half of the songs were ready. We used the studio as our playground and spent nearly 3 months in it. It was an interesting but stressful way to record an album, and of course not exactly cheap. With Illumination we did a complete pre-production for most of the songs together with Waldemar prior to the recordings, but still quite some lyrics and vocal melodies had to be finished in the studio. We promised ourselves that next time we will be ready with every single note and every word of the lyrics before entering the studio. It looks like we will be that much prepared this time, and it’s a brand new feeling of having control. The process of writing the material for this album has been extremely creative, fun and efficient. The line-up changes that we’ve been through have put on a positive spin in the composing process. Two people who didn’t contribute much on the creative side have been replaced by another two who do so. Ole has been a regular member of this band for only a year now but has already become one of the main song writers in Tristania. It has been extremely fruitful for me and Einar to get Ole on the team with his new ideas and great skills as a songwriter. In addition, Ole is a good singer who will contribute with vocals both live and on the album. His natural vocal range is different than Østen’s, and this gives us new possibilities to combine their voices on the new stuff as well as when we perform the old material live. Mariangela’s role should be appraised as well. She has made several of her vocal melodies herself, and this has also been a big step forward for us as a band. I think it’s always the best thing if singers come up with melodies themselves, giving them more natural expression. I love how Mary has developed the vocals on live versions of Lotus, Down and Libre. Actually we’ve been considering re-recording re-arranged versions of both Down & Libre with the current line-up. I think it would be an interesting way to tie together present and past. One of the new songs where her contributions have been crucial, is the already mentioned tune Protection. She has her vocal melodies on both the verse and the chorus and has also co-written the lyrics together with Østen. As I said, it’s hard for me to describe the musical direction we will take with the upcoming album; it’s easier to mention some key words and associations I get from some of the songs. Protection is a classic Tristania song; heavy and slightly symphonic with a powerful chorus and a great vocal performance by Mariangela. Sirens is dark, heavy and hypnotizing, built around chanting vocals by Østen. The Emerald Piper is a goth-rocker with a twist; the chorus reminds me of “Manson-gospel” á la Mechanical Animals, but a friend of mine told me the other day that the song reminded him of Kate Bush. Images is atmospheric with acoustic guitars and an epic chorus. In other words, it will be a diverse album. A natural next step from Illumination, yet totally different from anything we’ve done before. You know the drill by now. Oh, by the way, we have started to rehearse with a new guitarist. No name will be announced yet but this person has experience from touring, composing and recording albums with another band some of you might now. And one more thing – we have made a short film called Illuminated, based on our own video recordings from the Illumination studio sessions in Woodhouse. It’s a bit too silly to be called a documentary, but I think you will find it quite amusing. It will be published when the next Woodhouse dates are announced. This entry was posted in News and tagged anders, history, music. Bookmark the permalink.